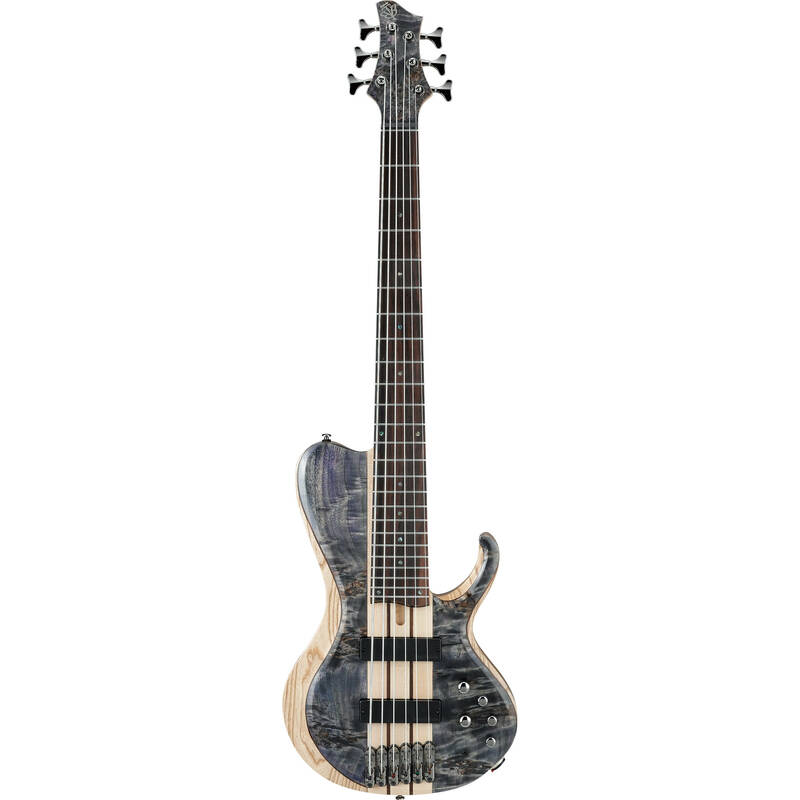 The BTB Bass Workshop Series BTB846SC from Ibanez is a 6-string electric bass guitar featuring a neck-trough design, a poplar burl top, an ash/mahogany wing body, a jatoba fingerboard, and a natural low gloss finish. The single-cutaway body allows for unencumbered access to the upper regions of the fingerboard, ensuring solid playability, while the upper horn provides maximum neck stability and increased sustain. The maple/walnut BTB6 neck features a 35" scale which provides a tight, even tension with no flopping on the low end, and added sustain on the high strings. Other features include two bridge and neck Bartolini BH2 humbucker pickups, a 3-band EQ with mid-frequency switch, a Mono-rail V bridge, and cosmo black hardware.